I’ve held out on putting figs in jars up until now. They’re so darned expensive and what I could afford in the past, I ended up gobbling up before I could even ponder preserving them. Well, as we drove by the farmers’ market the other day I was thinking about our upcoming ATXswappers food swap. I’d stashed somewhere in the back of my mind the desire to make gluten-free fig newtons. Even if they don’t make it to the July 18 swap event (read: I might eat them all before then), I’ll still need some fig jam. My friend Neysa was working the Urban Roots booth, the only stand with local figs for sale, and luckily I had enough cash on hand to snag two pints’ worth of these delicious jewels. She gingerly dumped the perfectly ripe figs into my bag and my history of super-small batch adventures came immediately to mind. I brought my mini-stash home and weighed the loot. Enough for two super-small batches, I opted for one fancy-flavored (fig with lavender honey and bay leaves a la Christine Ferber) and the other straight-up figs and sugar. As I was making the simple jam, I realized that this is one of those things that even my mom, “I will never can” Deborah (who’s now making super-small batches of strawberry jam), would be able to very easily manage (and dare I say enjoy). 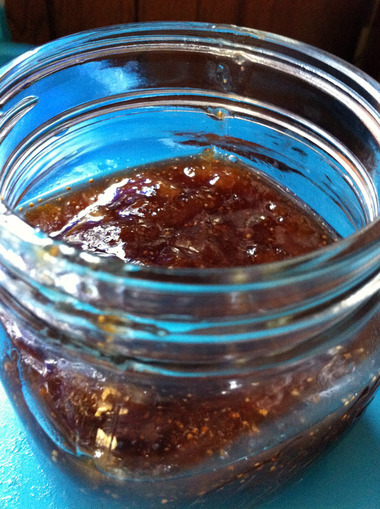 All this is to say, I think you can swing a jar of fig jam. 1. 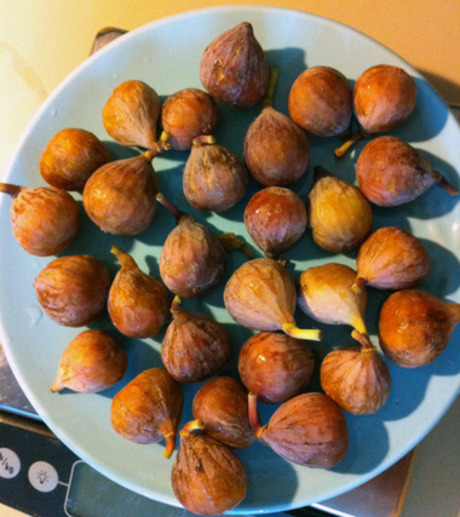 Wash, remove stems and roughly chop 1 pint (10-11oz) of ripe figs. At this point, use a potato masher to even out the consistency if you’d like smaller chunks in your jam, or just ladle it into a clean jar and call it a day! Also, consider zesting some lemon rind in there to brighten it up a hair. This will last in the fridge for up to 6 weeks (if you refrain from eating it all in one sitting and/or licking your spoon and sticking it back in the jar).